MNIBA is now accepting applications for our Board of Directors. Download the information and application here! The first 100% tribally owned Fiber to the Home Network which provides 1 gigabit capacity to all residents and businesses within its tribal lands. TICOM’s work contributes to closing the digital divide in Indian Country, and increasing broadband access to enhance economic, education, public safety, and healthcare opportunities for those living and working on tribal lands. Madonna’s career in the Telecommunication Industry spans many years. She has contributed to the FCC’s Telecom/Broadband Policies for Tribal Nations. She holds a B.S. in Business Administration, and a Masters in Community & Regional Planning from NDSU. Madonna is Citizen of the Turtle Mountain Band of Chippewa Indians. Shanne Soulier founded Big Spirit, Inc., as a premier full-service marketing consulting firm and advertising products supplier. The mission of Big Spirit, Inc., is to help individuals, small businesses, and non-profits succeed by utilizing strategic marketing strategies and unique promotional products that build brand awareness to maximize their goals. Shanne has over twenty years of experience working in the for-profit and non-profit sectors. He has consulted on marketing initiatives for numerous companies including North Memorial Medical Center, Nestle, YWCA, Junior Achievement of the Upper Midwest, Minneapolis and St. Paul International Film Festival, Compass Group NAD, and Target. He has experience building brand initiatives, coordinating multi-channel marketing programs, developing communications strategies, and evolving public relations campaigns. He has also been a key player in the development of merchandise and retail lines that have helped create unique revenue streams for his clients. Dani is an Anishinabe Ikwe (Indigenous woman), a mother, a hockey player, and a social entrepreneur. Dani served as the tribal housing Office Manager for the Bois Forte Band of Chippewa. She recently left her position, to focus full-time on building her family’s start-up, Harvest Nation, an aeroponic farm to bring fresh, nutrient-rich fruits and vegetables to her region. She graduated from Stanford University in 2012 with a B.A. degree in Native Studies with an honor’s thesis on asset building for Indian Country. Dani is a Citizen of Bois Forte Band of Chippewa. Kim Strand is a Minnesota State Behavioral Health Human Services Grant Manager. She oversees multiple Tribal and American Indian grant projects. She has a strong business, finance and technology background and assists in economic empowerment for Natives and other diverse communities. She has been a business consultant for multiple non-profits, taught as an adjunct teacher at Tribal colleges, and managed the Tribal business portfolio at Lac Courte Oreilles Chippewa Tribe. She served on the American Indian Public Center board, and the American Indian Chamber of Commerce board as board treasurer. She was awarded the Bush Leadership fellowship in 2008 and received her master of public affairs graduate degree from the University of Minnesota. She received her bachelor of science in business and ethics degree from Crown College. In her spare time, Kim spends time with her family, owns and operates a vacation rental company, and cares for 2 adoptive rescue dogs. Kim is a Tribal descendant of Lac Courte Oreilles and St Croix Tribes. Elaine S. Hansen has been at the University of Minnesota Duluth (UMD) since August 1999 and has served as the Director for the UMD Center for Economic Development (CED) since 2003. In her role she is also the Regional Director of both the Northeast and Northwest Minnesota Small Business Development Centers (SBDC) covering the top third of the State’s geography. From February 2015 until November 2015 she also served as the Interim Vice Chancellor of Finance and Operations, Interim Director of Finance and co-director of Human Resources at UMD. Her contribution is felt each year, by the 800 entrepreneurs and business owners that the CED serves. Controller/Treasurer at Great Minnesota Corporation/Minnesota Technology. She is a licensed certified public accountant (CPA), has a Master of Business Administration (MBA) degree from the University of Minnesota, is an Economic Development Finance Professional (EDFP) through the National Development Council, a Certified Global Business Professional (CGBP), a Certified Global Management Accountant (CGMA), and has worked with several non-profit organizations on financial management initiatives. Elaine is very active in community, state-wide and national organizations serving on numerous boards and committees. LeAnn Littlewolf (Anishinaabe/Gaa-zagaskwaajimekaag Band of Ojibwe) is Economic Development Director at the American Indian Community Housing Organization (AICHO). LeAnn has worked in both the nonprofit and policy advocacy sectors for over 25 years and carries a deep commitment to community leadership. She has worked as an executive director, provided direct services and program development. LeAnn has developed and designed a nonprofit organization focused on Native youth leadership and has assisted in the development of a startup focusing on Indigenous and rural women's leadership. Leanne is also a part of a leadership team for the Food Sovereignty initiative and development of Indigenous social enterprises at AICHO. She holds a Bachelor's degree in Education, a Master's degree in Advocacy and Political Leadership, and a Master's degree in Education. Wayne Leo Ducheneaux II, is enrolled with the Cheyenne River Sioux Tribe in South Dakota and is currently the Executive Director of the Native Governance Center (NGC) in St. Paul, MN., a nonprofit organization that assists Tribal nations in strengthening their systems of governance and capacity to exercise sovereignty. Prior to coming to NGC, he served on the Cheyenne River Sioux Tribal Council as a Representative from District 4, with two of those years as Vice-Chairman. Wayne is a member of the Four Band Community Fund's Board of Directors and through that work has developed a passion for economic development and entrepreneurship in Indian Country. Wayne is married to Megan Swan and they have two children Veda and Aiden. Bruce Corrie, PhD. is the Director of Planning and Economic Development for the City of St. Paul. Prior to this he served 31 years at the University of Concordia as the Associate Vice-President, University Relations and International Programs and Professor of Economics. He has worked closely with ethnic communities to elevate the economic contributions of the Asian, Latino, Native American and African (ALANA) communities. Bruce also serves on numerous boards through the state of Minnesota. Bruce is an economist, with a PhD.in Economics from the University of Norte Dame, a Master of Business in Economics from North-Eastern Hill University, and a BA in Economics from St. Edmund University. Pamela Standing left a 16-year international business career in 1991 to return home and immerse herself in grass roots organizing and rural tribal community wealth building. It was during this time she was able to draw upon her unique and diverse experiences from business and international travel to move into rural tribal business and nonprofit development. Standing’s passion is organizational transformation—serving as a catalyst to help organizations and businesses reach their potential, especially those that are restructuring. She brings with her well-rounded experience in both the for-profit and nonprofit sectors. Standing specializes in culturally-based business and strategic planning. Her experience has shown her that Indigenous-run organizations and owned-businesses can be healthy, enjoy financial growth, and succeed within the dominant business system without compromising cultural values. She endeavors to close the disparity gap through cooperative work, collaboration and forming partnerships and alliances that ultimately result in the sharing of resources. In 2007, she helped co-found the Minnesota Indian Business Alliance (MNIBA) in response to the limited native-owned business and development occurring throughout the state. Standing holds a BA in Education from the University of Washington and an MBA in International Business and Law. She is a Citizen of Cherokee Nation. Chalsey Snyder is an enrolled member of the Three Affiliated Tribes, located on the Fort Berthold Indian Reservation in North Dakota. 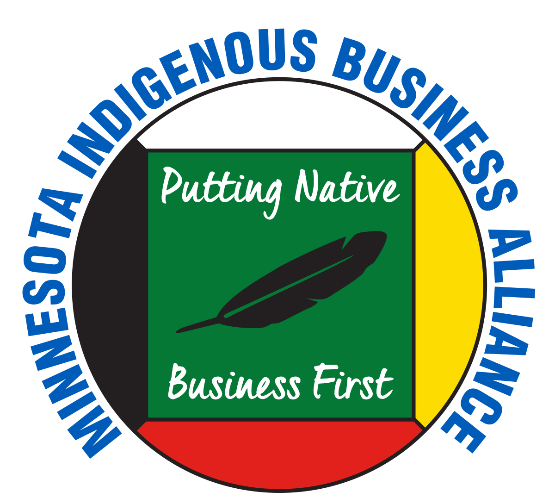 As the Engagement Coordinator with the Minnesota Indian Business Alliance, Chalsey's role is to help generate successful native trade and commerce through partnerships, collaborations and connections with native entrepreneurs and businesses both within and outside of the indigenous community. Her goal is to influence positive change in Native Country by encouraging, helping and supporting new and innovative ways to strengthen native entrepreneurs and indigenous owned businesses. To contact Chalsey about the many ways MNIBA can help your business or community, call 701.421.5082 or email engagement@mniba.org. Jessica Saucedo was born and raised in northern Minnesota, with roots in the family farm and food businesses. Jessica’s early years were spent in start-up and the service industry, working with new entrepreneurs and underserved communities. Minneapolis was a home away from home, working 12 years, with a focus on corporate office administration for health care and an environmental consulting firm service. After returning to Bemidji, with a young family and a heart of wanting to foster sustainable business, Jessica dedicated a labor of love in a creative placemaking project called Rail River Folk School in Bemidji, MN. This endeavor fostered an organic community learning center, founded with friends, family, and community partners in 2010. This rural rustic warehouse incubates small-business, artisans, and co-creative spirits from many walks of life and is 100% people powered through arts and anchor tenants. Jessica sees the unique opportunity to navigate new economic potential using small business and the creative economy as a connector to support, not only Indigenous ideas, but entire communities.